Borne from the back swamps of Louisiana just a few years ago, LA’s annexed Moon Honey have journalists against the ropes with their genre-bending proclivities. 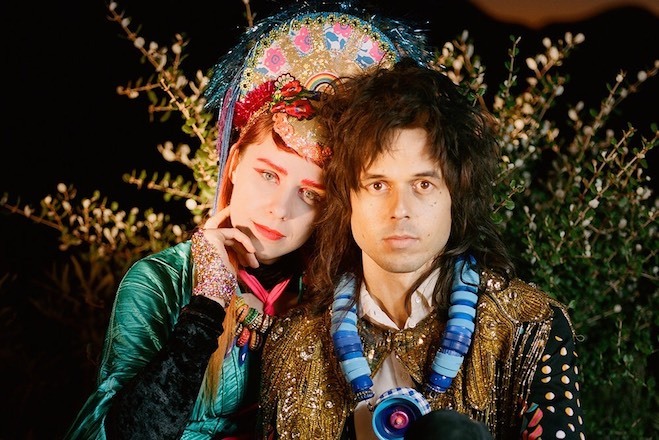 Ahead of their forthcoming record, the duo are sharing “That Dog”, a hauntingly brilliant arrangement wrought with refreshing vibrato over a retelling of deep dream states. Produced by John Goodmanson, whom nerds among us may recognize for his work with Blonde Redhead and Death Cab For Cutie, among others – the band’s latest endeavor, Mixed Media On Woman, is set to break the dial as we crank our stereos upon its release September 4th. Don’t miss it. Mixed Media On Woman is out September 4th. Stay tuned and listen below. “Refute” is a gorgeous return to Stephen Malkmus’s country roots.